It's been a great season so far. The first women-only weekend is in the books, and we had such a wonderful time riding with a great bunch of ladies. The best part of this job is meeting all the great people and making new friends. That's pretty much true for all the guests too. Guests make new like-minded friends and that friendship usually carries on well after their trip to our ranch is done. There is a beauty in all of it. This season we will have many more Mother & Daughter weekends. To watch the bonding process between a mother and her girl through our horses can sometimes leave you speechless. Our next weekends for moms & their daughters are 10/12-10/15 & 10/19-10/22 either of which can be 2 or 3 night stays. Contact us for availability for any and all other future weekends that we have not mentioned to secure your weekends. We'll also have some great Family weekends that are always so much fun, filled with lots of laughter and we'll have additional women-only weekends. Our next women-only weekend will be 11/09 ~ 11/12! But what we are all excited about is our Christmas Break Horse Camp that will run 12/26~12/31. This year we are welcoming girls coming alone as well as mother & daughter teams. It's a great way to spend a part of your holiday break ... riding horses, learning to care for them, relaxing in our cowgirl bunkhouse that overlooks the horse pasture, enjoying morning coffee or tea on the porch watching the horses and later visiting with the ranch animals and of course, enjoying delicious homestyle meals with other guests and making lifelong memories with newfound horse loving friends. There isn't anything better than days spent here on the ranch, riding, enjoying nature and of course, falling in love with all of the beautiful horses that create an amazing experience you all will never forget. 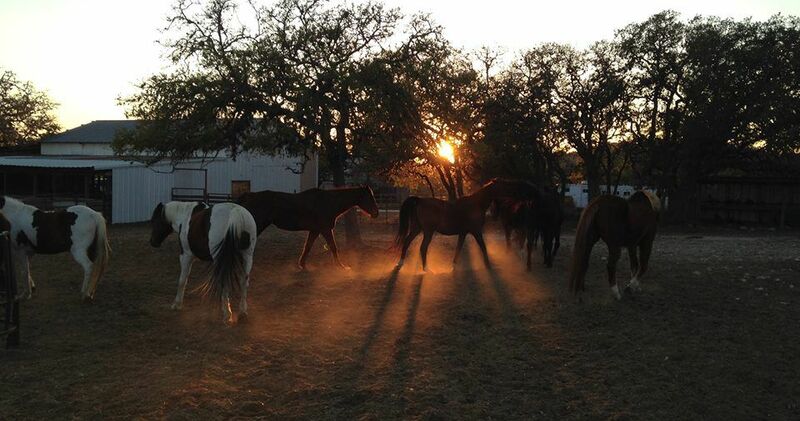 The Sugar & Spice Ranch Horses!